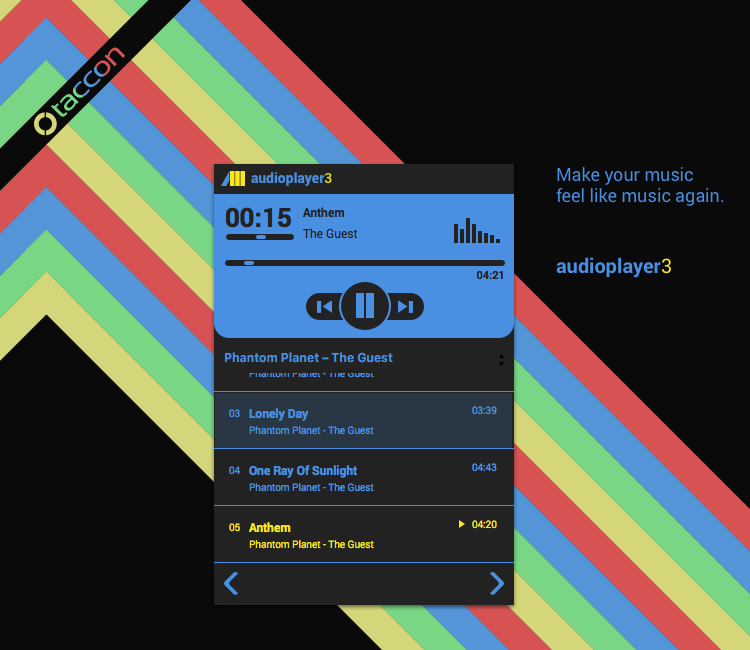 With taccon audioplayer3 you can enjoy music on your Mac or PC again. Instead of an overloaded media library, audioplayer3 features intelligent playlist functionality that allow you to manage your music collection easily and efficiently. audioplayer3 is currently available for Mac OS X and will be available as a native app for Linux and Windows soon.